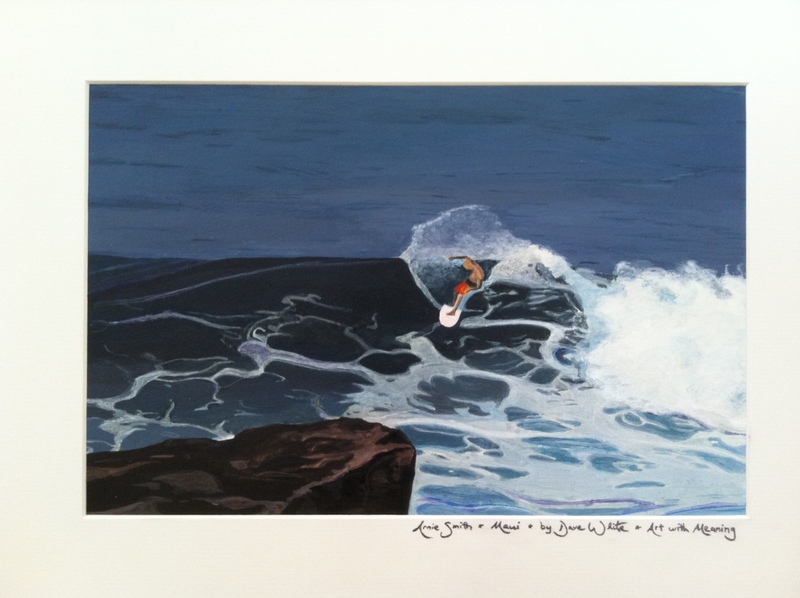 This is a recently completed painting of surfer Arnie Smith hitting the waves in Maui, Hawaii! The painting is 8″ by 12″ and custom framed in a 12″ by 16″ black metal, archival-quality frame with UV glass protection, and an acid and lignin-free mat board! Thanks Jenny for giving me the opportunity to provide you and your husband with art for your home! 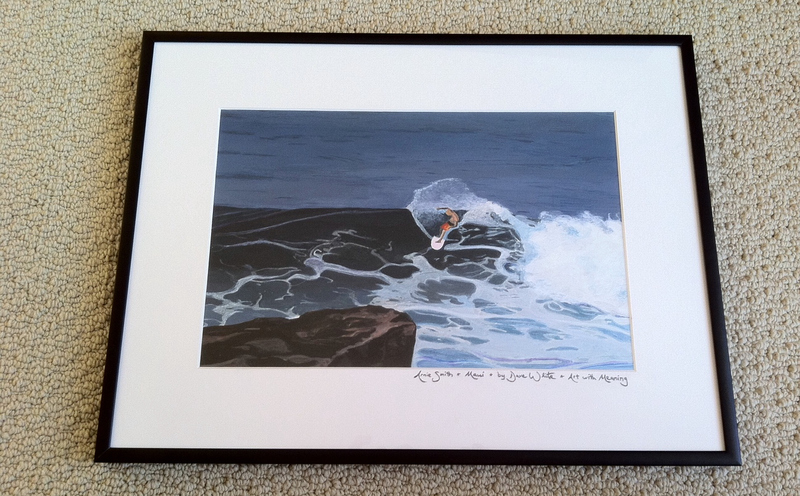 Arnie Smith surfing in Maui! Nice work! Keep with the hard work!